The benefits to you and your business when taking on a Trainee. 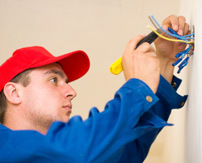 If you have at least one years experience, you can still train to be an electrician. For further information and resources to support your training. 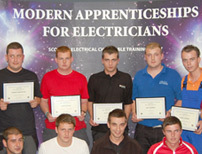 Find out what is happening in the Apprenticeships and Adult Training schemes. The electrical industry has devised career patterns and training to ensure that those working in the industry have every opportunity to keep ahead of modern developments. 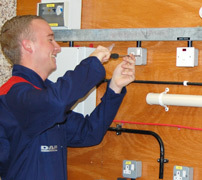 SECTT manage the industry approved training scheme for Electrical apprenticeships in Scotland on behalf of the Scottish Joint Industry Board.